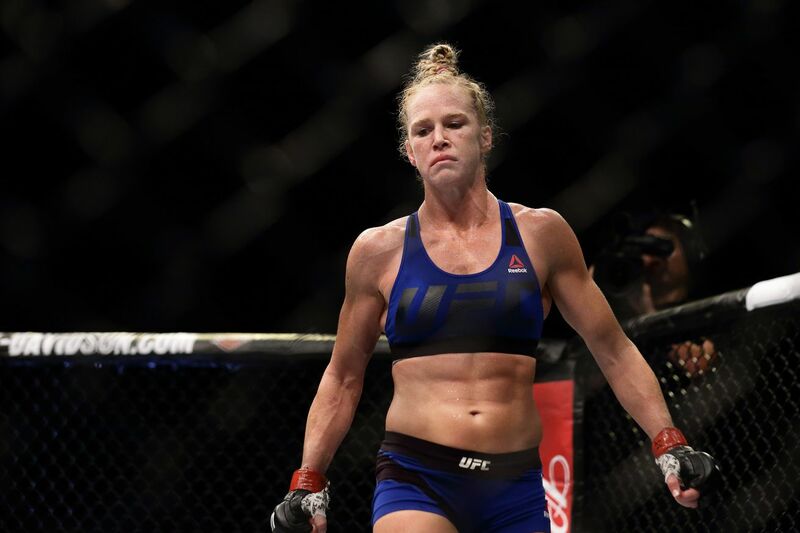 Holly Holm and Aspen Ladd will not be fighting at UFC 235 or any other event for that matter. UFC President Dana White made the announcement at Thursday’s UFC 235 pre-fight press conference. “That fight’s not going to happen,” he told reporters. “That’s why they’re not up here.” White did not elaborate on the reason for the cancellation, but confirmed neither woman will compete at UFC 235 in Las Vegas. Furthermore, the two will not be rescheduled against each other at a later date. “We’re working on another fight for both of them,” stated Egg. Wonder wtf happened with this? Planning to give Holly another title shot? Yeah it was weird when Dana had to explain why the fight wasn't taking place. I wanted to see these amazons do battle. Lol I was wondering if anyone would catch that.